Apps Manager (AM) is Pivotal Cloud Foundry's UI for enterprise app developers. Its vision: Make it easy and simple for app developers to deploy, manage, and monitor their apps in PCF. For the 60+ customers using the UI today, Apps Manager was likely the first encounter their app developers had with PCF, and continues to be one of the main developer tools (other than the cf CLI) for monitoring and managing their apps. Make it possible for app developers to see apps across foundations. 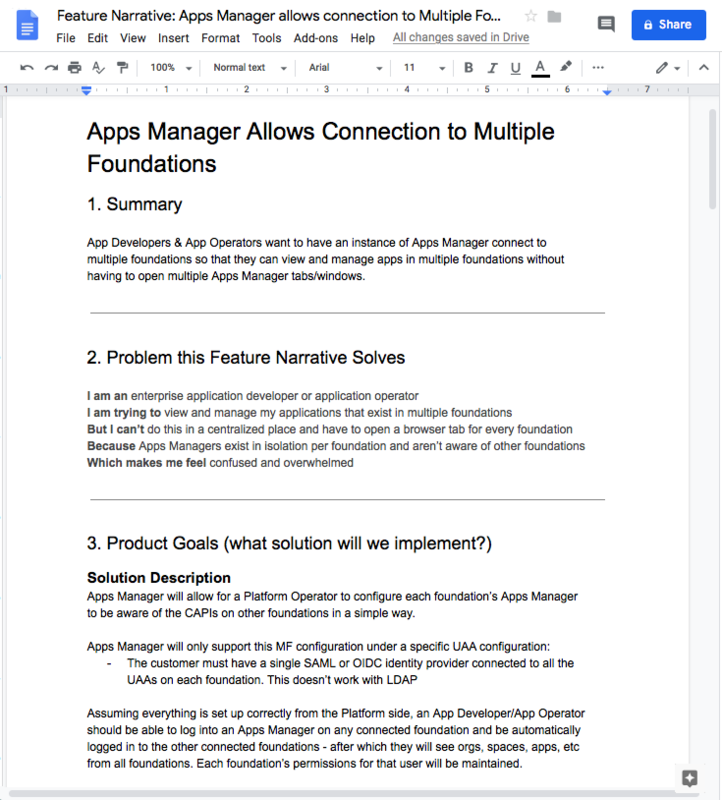 The reason this was much more than a simple UI tweak or homepage redesign is because Apps Manager was developed with one major assumption: a user only has apps in one foundation, because customers only need one foundation each. 👀👉 Create Usability Testing plan that includes Design Goals, Prototype Goals, etc. 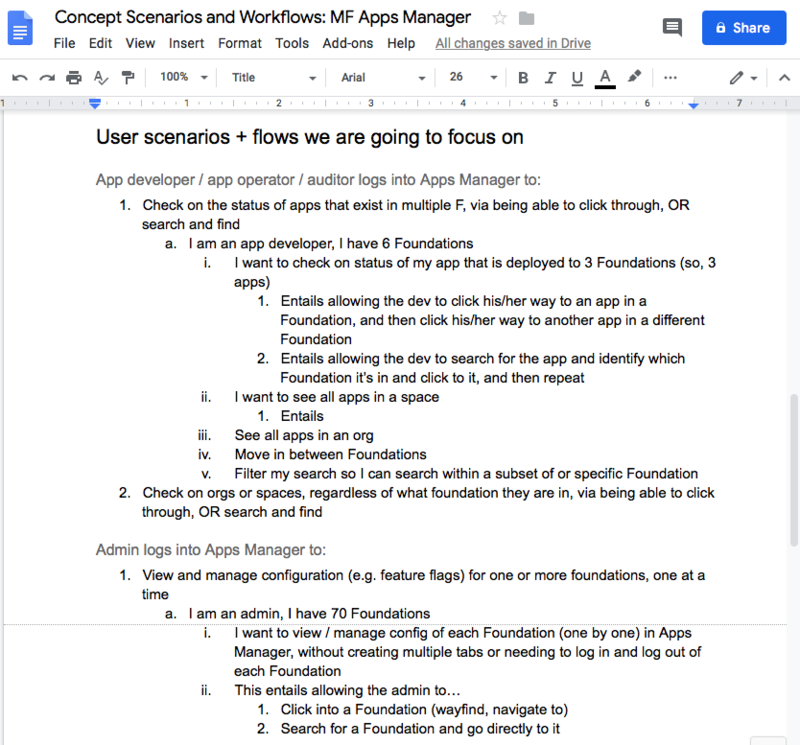 🎉 Apps Manager has a polyhierarchical IA that enables app developers to navigate quickly to their desired app, service, space, or org regardless of which foundation the object lives in. 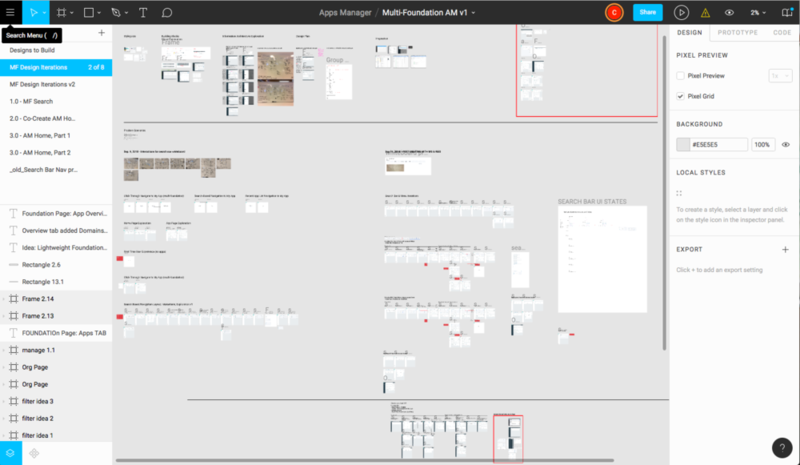 Test the UX of an Apps Manager search that can access multiple foundations. Co-create the ideal homepage with the user. Give the tester a clickable prototype with a new homepage connected to only one foundation.